The Tauern-Höhenweg runs east-west through the entire Tauern, from the Schladminger Tauern to the Venedigergruppe: Schladminger und Radstädter Tauern - Ankogel - Sonnblick - Großglockner - Großvenediger. The trail neatly follows the main crest. As you will guess, this is not an easy path. Compared to most other trails in our list, the Tauern-Höhenweg is a serious mountaineering trip. In this high Alpine landscape you will need a rope, crampons and a ice ax, plus the knowledge how to use them. If this all is no problem for you, you will be facing a very sportive hike, likely the trip of a lifetime. The Zentralalpenweg or Weitwanderweg 02 is using this Tauernhöhenweg. Leaflet of thet trail in the Ankogelgruppe and Goldberggruppe, by the ÖAV and DAV. 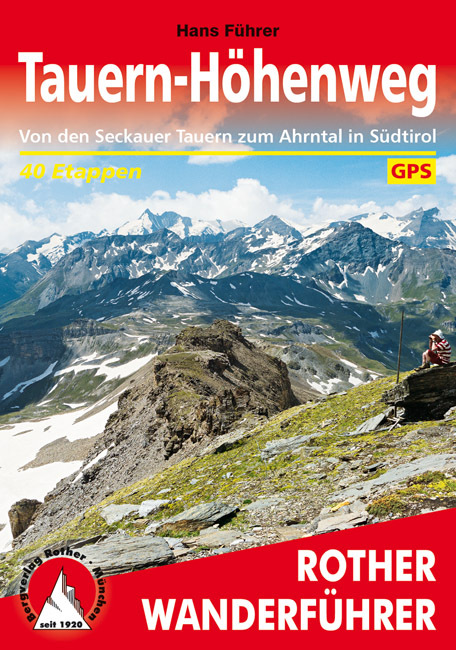 Detailed tour description of the Tauernhöhenweg from the Murtörl to the Hochtor at the Großglockner Hochalpenstraße (with. GPS tacks). Description of the stages, the huts and valley places.